Adrian Cantrell Sheffield Killed in Newnan Apartment Shooting. Justice Available to Victim’s Family? Could This Newnan Apartment Shooting Have Been Prevented, and Is Justice Available to the Family? Gunfire erupted outside an Octavia Place apartment Wednesday night, April 4, 2018, reportedly claiming the life of 44-year-old Adrian Cantrell Sheffield. 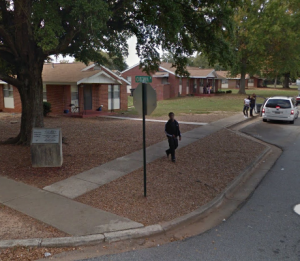 According to The Newnan Times-Herald, an argument escalated to gunfire “outside 19 Octavia Place in a courtyard area,” shortly before 10 p.m. Tragically, Mr. Sheffield succumbed to fatal injuries at the scene. Police have since made an arrest in connection with the shooting, per AJC reports. Was negligent security on the part of the owner or manager of this property a factor in this tragic shooting, and could this incident have been prevented? Read Our Legal Take below to find out if Adrian Cantrell Sheffield’s family may have legal avenues for justice and claims for substantial compensation in Georgia. Apartment residents and guests have a right to feel safe and secure while on the premises. The Murray Law Firm questions the level of security provided at the subject apartment complex and whether this shooting may have been prevented. What security measures, such as gated-entry, fencing, bright lighting, security patrols, and surveillance cameras, were in place to protect Mr. Sheffield and deter crime at the time of the shooting? By law, property owners in Georgia are required to protect all those legally on the premises from any foreseeable harm. Should the facts of this matter reveal that the apartment complex owner or management failed to provide adequate security, the family of Adrian Cantrell Sheffield may seek justice and elect to pursue legal claims for their loss.